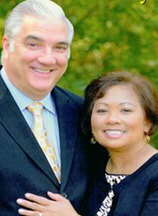 Chona and I received Christ together in Japan while in the U.S. Air Force. Six weeks later God called me into full time service and I answered that Call. While in Japan I was able to serve as the Youth Pastor at Yokota Baptist Church. God also opened the door for me to help in the starting of Faith Baptist Church in Misawa Japan. Then with just 1 year remaining in the Air Force God moved Chona and I to start the Yokosuka Baptist Church at the Yokosuka Naval Base in Japan. Both of these Churches are still pastored by BIMI Missionaries today, some 31 years later. In 1985 we arrived at Tennessee Temple where I received a BA in Pastoral Studies. Since that time we have been serving as BIMI Missionaries for the past 21 and 1/2 years. While on the field I was able to complete a Masters and Doctorate from Northeast Baptist College. Also during this time God has blessed us with: Starting Churches, Training National Pastors, Developing a National Plan to start an additional 25 Churches in the next 12 years (5 of which are currently starting now), and New Life Christian Academy. We currently have 34 churches that we are working with, which have pastors that were trained in the Resurrection Baptist Seminary. 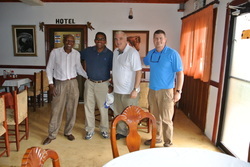 In 2013, Global Baptist Church Planters partnered with us to start five new churches in the Dominican Republic.